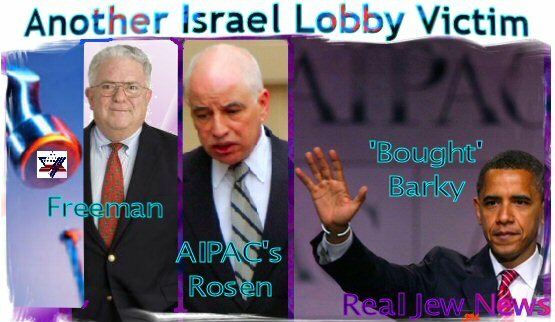 IF YOU THINK THE ISRAEL LOBBY HAS NO POWER IN AMERICA, then please think again. “The slanders against me and their easily traceable email trails show conclusively that there is a powerful lobby determined to prevent any view other than its own from being aired. The tactics of the Israel Lobby plumb the depths of dishonor and indecency and include character assassination, selective misquotations, the willful distortion of the record, the fabrication of falsehoods, and an utter disregard for the truth. The aim of the Israel Lobby is control of the policy process through the exercise of a veto over the appointment of people who dispute the wisdom of its views, and the exclusion of any and all options for decision by our government other than those that it favors. The outrageous agitation that followed the leak of my pending appointment will be seen by many to raise serious questions about whether the Obama administration will be able to make its own decisions about the Middle East. I regret that my willingness to serve the new administration has ended by casting doubt on its ability to decide what policies might best serve the interests of the United States rather than those of a Lobby intent on enforcing the will and interests of a foreign government.” View Entire Story Here. 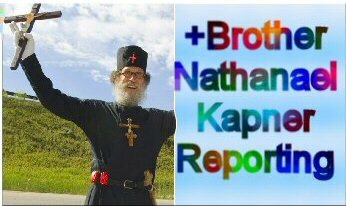 THE ATTACK ON FREEMAN BY THE ZIONIST JEWS began on February 22, 2009, when Israel National News “leaked” Freeman’s pending appointment. The article’s headline read: New Intel Chief: Support of Israel Not In US Interest. Two days later, on February 24, 2009, the Jewish Telegraphic Agency (JTA) picked up the Jewish-propaganda-ball against Freeman with a slanderous & sensational article, entitled, Potential Intel Pick Peddled Saudi-funded Textbook Accused Of Bias. The Israel National News article had the following to say about Freeman and why he would “not serve US interests.” In the article, a speech made by Freeman was quoted and criticized. (The Israel Lobby has a lot of nerve telling America what is not in their best interests). ‘American identification with Israeli policy has become total. Those in the region and beyond it who detest Israeli behavior, which is to say almost everyone, now extend their loathing to Americans. ‘This has had the effect of universalizing anti-Americanism, legitimizing radical Islamism, and gaining Iran a foothold among Sunni and Shiite Arabs. For its part, Israel no longer even pretends to seek peace with the Palestinians.’” View Entire Story Here. 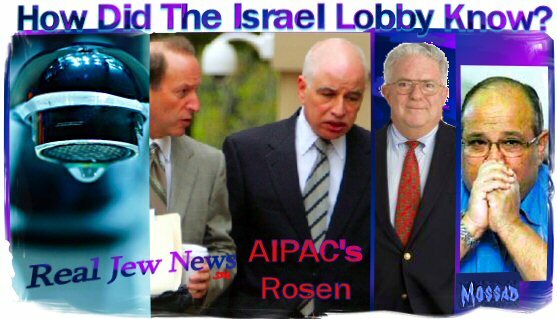 ALTHOUGH FORMER AIPAC OFFICIAL STEVE ROSEN is now on trial for passing classified US government information to Israel, Rosen still works the Washington crowd of Congressmen and Senators with Jewish & AIPAC influential means at his disposal. Along with his synagogue buddies such as Goldfarb, Peretz, and Schoenfeld of the Jewish-occupied press, Rosen’s litmus test for what makes a bad public servant is public criticism of Israeli policy and questioning America’s “special relationship” with Israel. 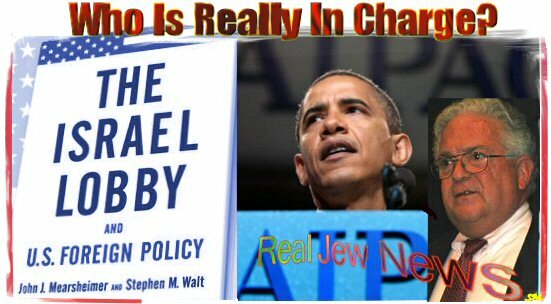 Indeed, Rosen jumped on the Jewish propaganda bandwagon on February 19, 2009, with an alarmist article he penned for the Israel Lobby’s Middle East Forum, (yet another Jewish think tank publication), entitled, Alarming Appointment At The CIA. In the article, Rosen accused Freeman of working for the Saudis.